This is a commission done for the YSCP Charter School in State College PA. 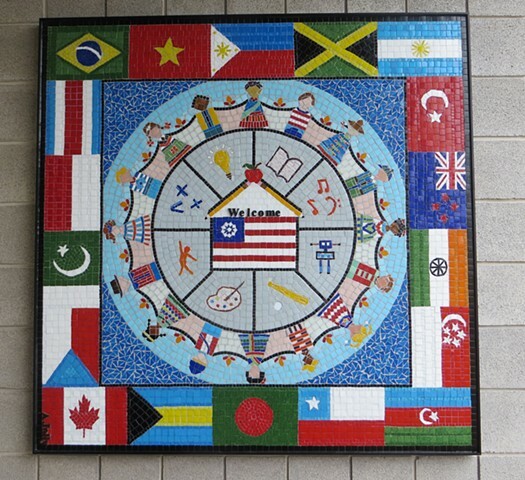 The design and the pattern in this mural reflect the diversity of students and faculty in this international school. The border of flags was done by the students.